If you missed 200-191 - Click Here! "Jimmy was a club record signing when he joined form Atletico Madrid in 2000. The fee of £15m could be considered a bargain as he averaged nearly a goal every two games over the next four years. He scored in the Charity Shield against Manchester United and finished the year with 26 goals. The following year he formed a prolific partnership with Eidur Gudjohnsen and together their goals helped us reach the FA Cup Final." Chelsea FC - Part of their "Legends Section"
"In 2000 and 2001, unfashionable Valencia - driven forward by their brilliant midfield general Gaizka Mendieta - reached the final of the world's premier club competition, only to suffer defeat both times. That summer, aged 27, he was on top of the world - having shone on the European stage he had twice been named European midfielder of the season and was also a regular in the Spanish national side. He seemed destined for a career at the top of the game." BBC Sport - "What Ever Happened to Gazika Mendieta?" "But what of the air forces both allied and against the British? Perhaps the most famous footballing member of the German Luftwaffe is Bert Trautmann. Trautmann would go on to earn five medals in the Nazi army during the first three years of the War, including the coveted Iron Cross. 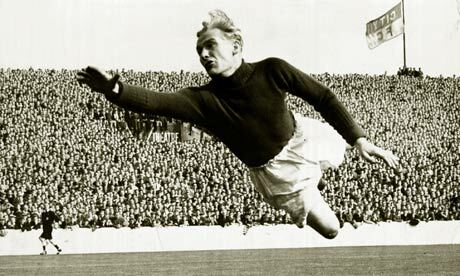 However, following capture in 1944, Trautmann decided against returning to his war-ravaged German homeland and instead settled in Lancashire before being signed by Manchester City in 1948 following impressive performances for local team St Helens. Although initially met with some discord and animosity from post-war football fans due to his German past, eventually Trautmann won over the supporters due to some fine performances. Perhaps his most infamous moment in 545 matches for City was the 1956 FA Cup Final victory over Birmingham City, when he played the final 17 minutes of the match with a broken neck!!" "On the field, the east Londoner’s strength was his athleticism. His bludgeoning power and fearsome frame worked in tandem with fast-moving feet. And there was, strangely for a man of his build, serenity in the way he carried himself, too. He was never willing to throw in the towel and often appeared visibly hurt in defeat -characteristics that endeared him to his new fans." Arsenal.com - Voted #15 in their "Greatest Gunners List"
“In my opinion, Ferdinand has been the best defender in the history of the Premier League and, while his loss of pace means he is no longer a great player, he is still a very good one. When he was at his best, was undoubtedly one of the best defenders in the world." "He was a truly brilliant free kick specialist! Mihaljlovic ability to score from the dead ball situation was feared throughout Serie A. He scored close to 30 free kicks during his career including a hat trick of free kicks for Lazio against Sampdoria in 1998. A feat which to my knowledge has yet to be replicated by any other professional player." Soccerlens - Ranked #2 in their "Greatest set-piece specialists list". 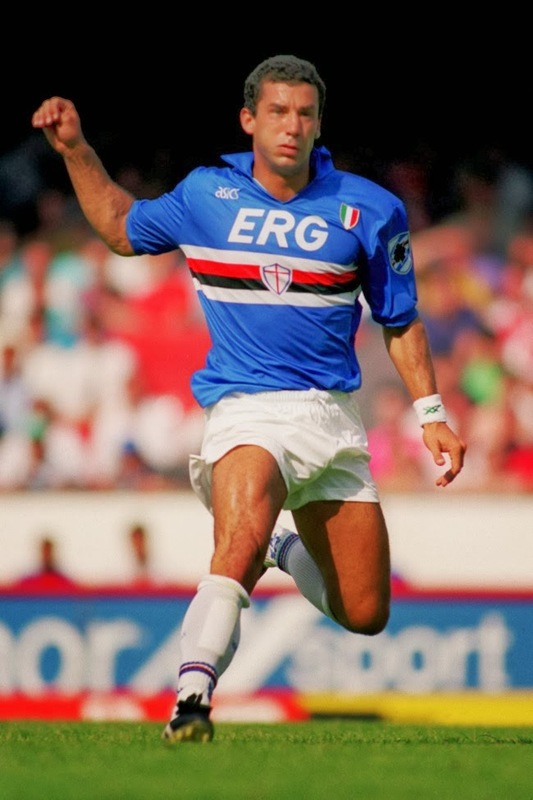 "In retrospect, perhaps it made sense for Vialli to move to the Premiership; he had collected all the honours going in Italy and Juve were building a new team around Alessandro Del Piero, the 21-year-old rising star. Chelsea may not have won anything since the Zenith Data Systems Cup, but at least Stamford Bridge was actually on the King's Road. As Vialli said of his first game against Leeds 'it was like playing rugby', but even when he fell out with Ruud Gullit and spent time sulking on the bench smoking (as he did away to Tottenham in February 1997), he was still going home to his house in Belgravia." 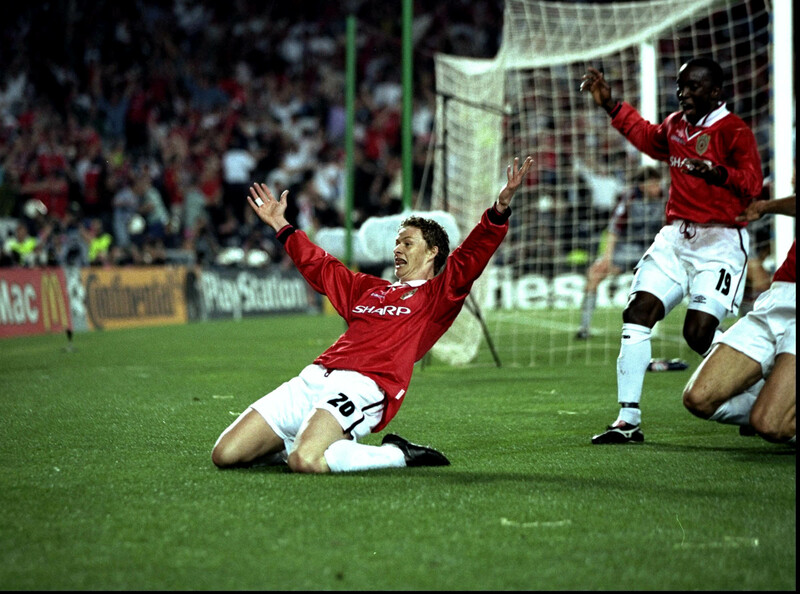 "In the last minute of injury time, David Beckham's corner was crossed into the path of Sheringham before Solskjaer was able to steer the ball into the Bayern goal and with it, Manchester United were crowned the champions of Europe for the first time in over 30 years. The striker's place in the club's hall of fame was cemented forever thanks to that last gasp winning goal." "Antonio Conte is a Juventus legend. From supporting the team as a youngster, captaining the side to now taking charge of his boyhood team, there can be little doubt regarding his devotion to the black and white stripes. Throughout his career with the Bianconeri, Conte exhibited great heart and spirit, honouring the black and white stripes, having held the club dear to his heart since the day he was born." "Another Twenty-First- Century player to make the #TFHBTop250, but another which is fully justified. Villa's record speaks for itself, winning every major domestic trophy in Spain as well as the Champions League in 2011. Villa's goal against Manchester United summed up the player - skillful, powerful and full of technique. At only 32, the Spanish maestro is already the national side's all-time top scorer and nearing a century of appearances to go alongside his World Cup and Euro 2008 winners' medals."